Shanghai is easily one of our favourite hubs – it’s a buzzing metropolis with an ‘all or nothing’ attitude. Investigate the Shanghai Museum, home to ancient Ming and Qing artefacts, stroll through the 400-year-old Yuyuan Garden or admire the futuristic skyline from the banks of the Bund. To the north, Beijing is China in microcosm: you can try authentic cuisine, explore temples and navigate its labyrinthine backstreets. Heading south? Guangzhou is the perfect stopover spot for lovers of dim sum. The jewel in the interior’s crown is Chengdu – famed for its giant panda population – while coastal wanderers should opt for Hong Kong, best seen from above, atop the lofty Victoria Peak. Last but not least is Xi’an – one of the most historic cities in China thanks to its ancient city walls and other major sights. 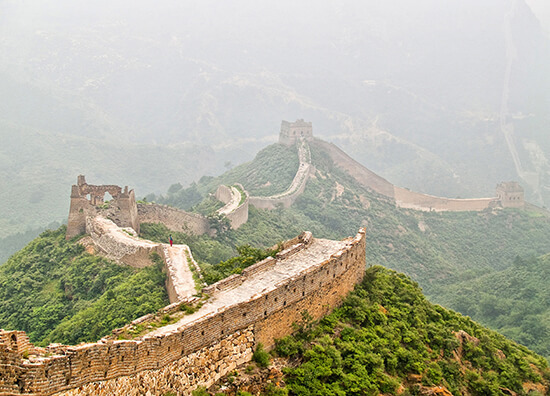 Travel icons don’t get much bigger than the Great Wall of China. Meandering cross-country like an oversized Chinese dragon, it stretches from Jiayu Pass to Korea Bay for a mind-boggling 5,500 miles – that’s from London to Edinburgh and back six and a half times. Built by the Ming dynasty, some parts are more accessible than others: try the partially ruined section of Jinshanling to Simatai, the recently opened Jiankou Great Wall section or the route around Mutinayu, a day trip from Beijing. 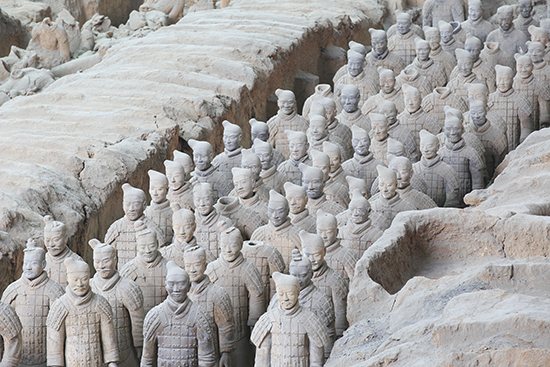 Other must-sees include: the Terracotta Army in Xi’an; the Forbidden City in Beijing; the Potala Palaca in Lhasa, Tibet; Hong Kong’s Victoria Harbour; and West Lake in Hangzhou. Well, giant wildlife to be more precise – namely the giant panda. 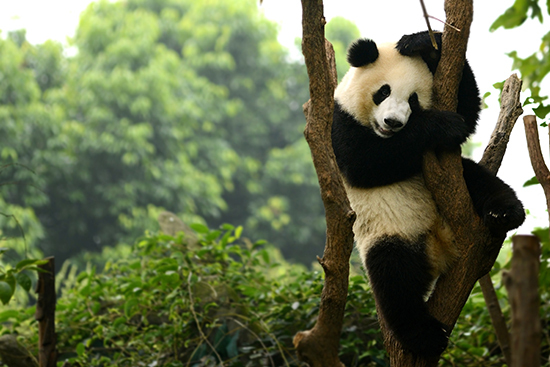 Chengdu is their home, and it’s here where an important research base for their breeding is sited. Visit to see this incredible bear in the flesh (or the fur! ), while learning about the centre’s conservation efforts. These black and white marvels aren’t the only rarities in China though. There’s also the giant panda’s cousin, the red panda, the Hainan gibbon, found only on Hainan Island, and the white-headed langur – critically endangered and one of the most elusive primates in the world. Want to learn more about China? Speak to one of our Travel Experts today to find out what tailor-made holiday would suit you.